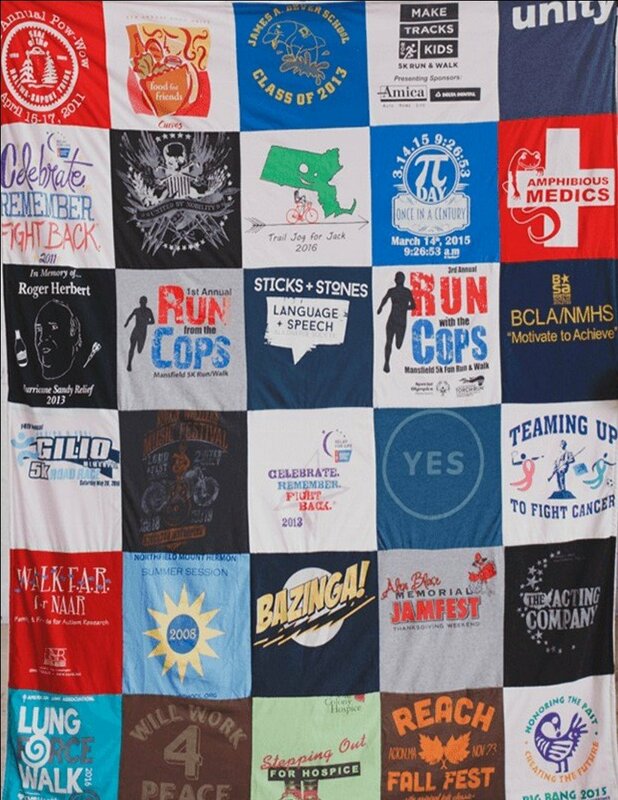 This quilt can be made with or without sashing and borders and in various sizes using adult size t-shirts. When selecting t-shirts make sure they are clean and free of stains and odors (pet, smoke). Be sure to choose the ones with special meaning and value such as a favorite t-shirt. Pockets can also be used as squares or corner stones. You will want to avoid using t-shirts with puff paint, sequins, buttons etc. due to rough texture. It is ok to use thin t-shirts since the fusible stabilizer will reinforce the fabric. A detailed handout with more of Becky's suggestions will be available for you upon registration at MY Sewing Shoppe. You will receive a 10% class discount on all supplies purchased at MSS. Bay Area Quilting will offer a 25% discount on quilting services if fabric/supplies are purchased at MSS.